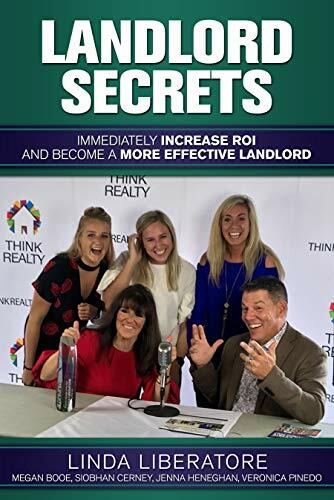 Best Seller Publishing announces the release of Linda Liberatore’s new book, “Landlord Secrets: Immediately Increase ROI and Become a More Effective Landlord.” It will be available for free download in the Amazon Kindle Store for one more day on October 22nd. Through effective technology, smarter staffing, managed communication, and continued learning, all of this is possible. It’s time to finally make your dreams come true and turn your rentals into profit! “Landlord Secrets” by Linda Liberatore will 0.99c on Amazon for 1 more day (11/09/2018) at: https://www.amazon.com/dp/B07GVS181G. “So far, this book has been excellent at helping me develop my real estate skills. I now have a much better understanding of my investments!” – Kim B.